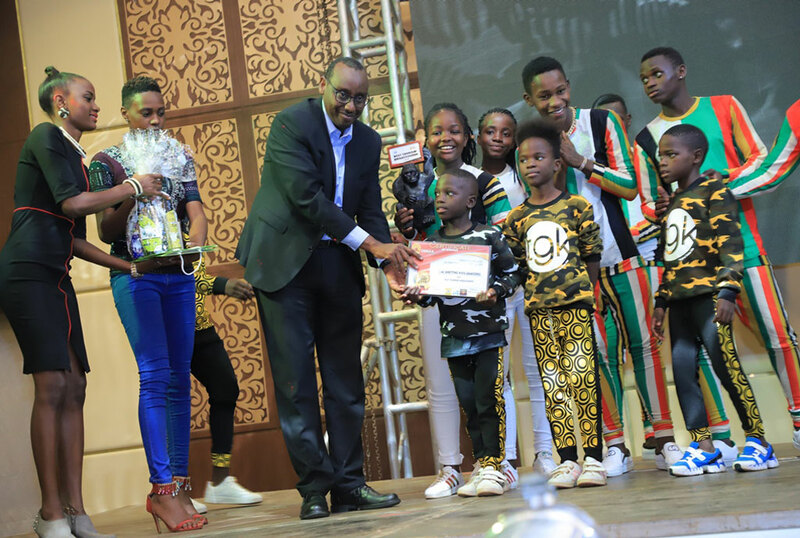 The Ghetto kids receive their award. 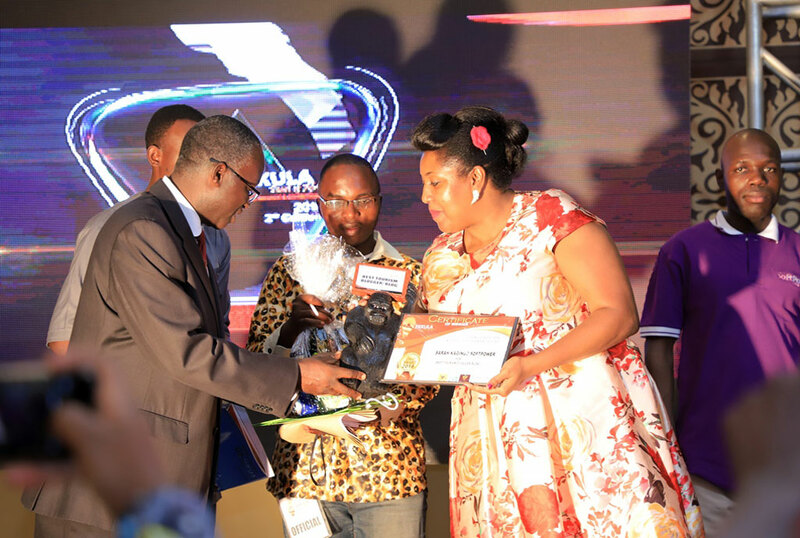 During the Easter Weekend, Tourism Enthusiasts were all smiles with their awards that they took home during the second edition of the Ekkula Tourism Awards that took place at the Pearl of Africa Hotel in Kampala. 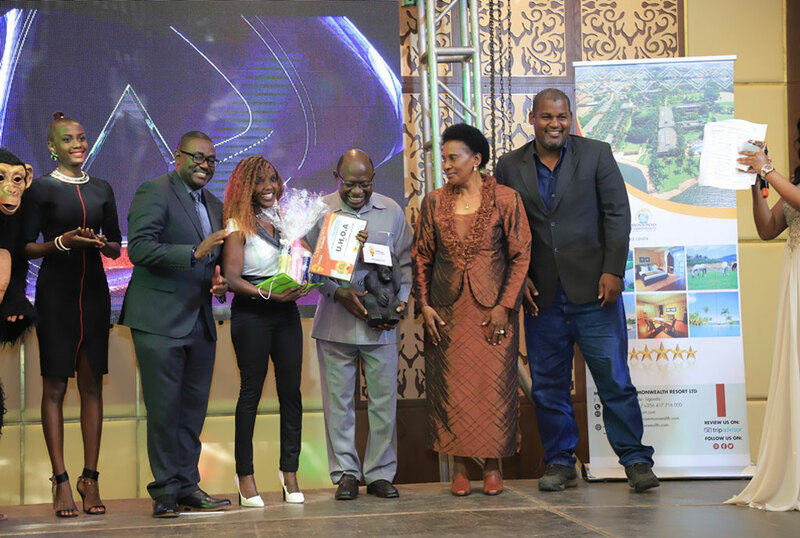 The accolades that were designed with images of a gorilla were given to different players in the Tourism Industry who emerged winners in different categories. Among these were companies and individuals. 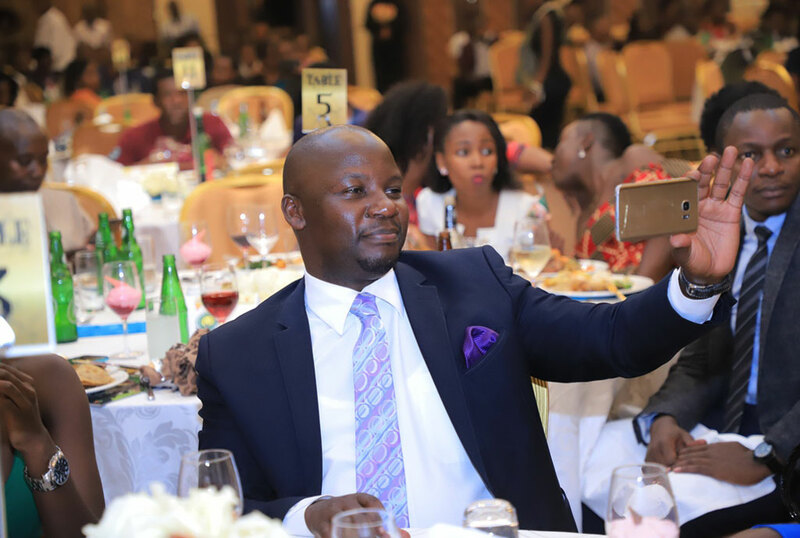 According to Bismac Moses Amumpaire, the accolade was inspired by Kanyonyi, a Silverback Gorrilla that was found in Bwindi Impenetrable Forest that unfortunately died last year after falling off the tree. Best Supporting Corporate Company: Movit Products. Best Supporting Airlines (Economy Class): Ethiopian Airways.